[S2] Registry of Births Deaths and Marriages Federation Index Victoria 1889-1901 "#M1810." [S14] Newspaper - Leader (Melbourne), 27 Jul 1895, p35. [S185] Property Titles. ; PROV (Public Records Office Victoria), C/T 2308-591 - Johan Glismann to Elizabeth Petersen of Hemming Street Dandenong, married woman. [S185] Property Titles. ; PROV (Public Records Office Victoria), C/T 2308-591 - Elizabeth Petersen to Izidore Manestar and Frank Manestar both of Cassilis via Omeo Farmers are joint proprietors. [S5] Registry of Births Deaths and Marriages Death Index Victoria 1921-1985 "indexed as PETERSEN." [S185] Property Titles. ; PROV (Public Records Office Victoria), C/T 3673-458 - Carl August Petersen died on 26th June 1938. Probate of his will has been granted to Elizabeth Petersen of Hopetown Street Elsternwick Widow. [S5] Registry of Births Deaths and Marriages Death Index Victoria 1921-1985 "#D14005 age 89." 5-039-B Peterson Elizabeth F 2938. [S188] Newspaper - Berwick County Times / The Times "21 Sep 1923, p1." [S11] Newspaper - Argus The Argus (Melbourne, Vic. : 1848 - 1957), Fri 17 Dec 1926, p24. GLISMAN.-On December 20, at his residence, 22 Jersey parade, Carnegie, David John beloved younger brother of Elizabeth (Mrs. Petersen. Oakleigh). [S1] Registry of Births Deaths and Marriages Pioneer Index Victoria 1836-1888 "#B1916 Village Bell gave birth date as 3.1.1871, but as registered in 1872, more likely to be that year." [S4] Registry of Births Deaths and Marriages Great War Index Victoria 1914-1920 "#M11169." [S5] Registry of Births Deaths and Marriages Death Index Victoria 1921-1985 "#D13243 age 71." [S11] Newspaper - Argus 21 Dec 1943 p2. [S11] Newspaper - Argus 23 Dec 1943 p10. [S14] Newspaper - Leader (Melbourne), 17 Sep 1910, p55. Death-Notice* 6 Dec 1955 GLISMANN. - On December 5, at her residence, Loluma, Beaconsfield Upper, Harriet Rachel, beloved wife of the late Hans; and loving mother ot Annie S., John (Oakleigh), Ellen F. (Mrs. C. A. Harris), and Dorothy J. (deceased), mother-in-law of Sheila and Claude, and loved grandmother of Cuthbert, Betty; Roy, Lorraine, Valerie, and great-grandmother of Christine, Rosalie, and Julie, in her 91th year. -The long day closes. GLISMANN (Audsley). 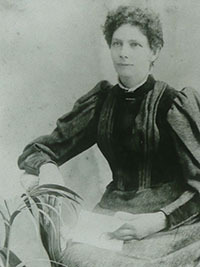 - On De cember 5, at Loluma, Beaconsfield Upper, Harriet Rachel, fifth daughter and last surviving child of the late William and Mary Audsley, of Elm Grove, Clayton, and sister of Ellen, Annie, Sarah, Mary, Frank, William, Frances, and Alice (all deceased), late Victorian Education Department. [S2] Registry of Births Deaths and Marriages Federation Index Victoria 1889-1901 "#M5348." [S185] Property Titles. ; PROV (Public Records Office Victoria), C/T 1518-441 - Harriet Rachel Glismann of Beaconsfield Upper Married Woman. [S22] Victorian Government. BDM Index Victoria (online) "Birthplace Clayton." [S11] Newspaper - Argus 6 Dec 1955, p19. [S185] Property Titles. ; PROV (Public Records Office Victoria), C/T 1518-441 - Harriet Rachel Glismann died on 5 Dec 1955. Probate of her will has been granted to The Equity Trustees Executors and Agency Company Limited of 472 Bourke Street Melbourne. [S185] Property Titles. ; PROV (Public Records Office Victoria), C/T 1518-441 - Annie Sarah Glismann of "Laluma" St Georges Road Upper Beaconsfield. Church of England, Monumental. Comp I Section 2 Grave 3A. [S11] Newspaper - Argus 9 May 1891, p5. [S12] Newspaper - South Bourke and Mornington Journal 30 Jan 1895, p3. [S11] Newspaper - Argus 2 Oct 1920 p13. 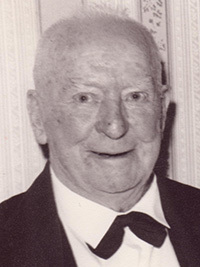 Death-Notice* 27 Jun 1938 PETERSEN.—On the 26th June, at Caulfield, Carl August, the dearly loved husband of Elizabeth Petersen, of 1 Narrawong crescent Caulfield and loving father of Lottie (Mrs. H. P. Marshall, deceased, West Wyalong), aged 70 years. —In God's care. PETERSEN. - The Friends of the late Mr. CARL AUGUST PETERSEN, of 1 Narrawong crescent. Caulfield, are respectfully requested to follow his remains to the place of interment, the Berwick Cemetery. [S185] Property Titles. 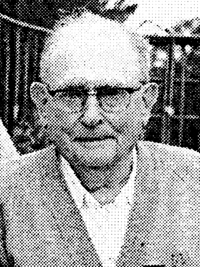 ; PROV (Public Records Office Victoria), C/T 3673-458 - Carl August Petersen of Upper Beaconsfield Gardener. [S185] Property Titles. ; PROV (Public Records Office Victoria), C/T 3673-458 - Annie Stenhouse and Dorothea Stenhouse both of Upper Beaconsfield Spinsters - proprietors as tenants in common in equal shares - C/T 5814-608A. [S11] Newspaper - Argus 27 Jun 1938, p8. [S185] Property Titles. ; PROV (Public Records Office Victoria), C/T 3673-458 - Margaret Thomson of Upper Beaconsfield Married Woman - C/T 7211-193. [S196] Newspaper - Dandenong Advertiser and Cranbourne, Berwick and Oakleigh Advocate (Vic. : 1914 - 1918) "21 Feb 1918, p2." [S12] Newspaper - South Bourke and Mornington Journal 19 Dec 1918, p3. [S218] Newspaper - The Dandenong Journal (1927-1954) "28 Oct 1926, p4." [S5] Registry of Births Deaths and Marriages Death Index Victoria 1921-1985 "#D8645 age 86 [par George HALL & Emily Fran BUTTERWORTH]." Village Bell* Oct 1997 The article reads: VALE Annie Sarah Glismann -- Our Oldest Resident. Miss Annie Sarah Glismann was born in Upper Beaconsfield on 25/2/1898, and spent all her active life in the village. She was the eldest daughter of Hans Glismann, and granddaughter of Johann our first permanent settler. Village Bell Oct 1997 The article reads: Miss Glismann. Upper Beaconsfield's longest-living resident, Annie Glismann, has died, aged 99, ending the Glismann family name. Annie was the granddaughter of Upper Beaconsfield's first permanent settler, Johann Glismann, who took out a selection in 1875. 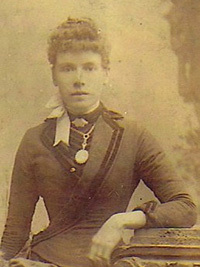 Her mother Harriet (Miss Audsley) was the town's first resident school teacher. 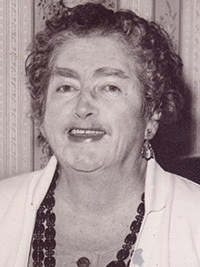 Annie was born in the old family home in St Georges Road on 25 February 1898, the first of Hans and Harriet's children, and she spent all her life in Upper Beaconsfield until moving to the special accommodation home, Peninsula Lodge, at Carrum. Annie was a shy, retiring person who became progressively deaf since contracting measles at the age of 29. She was renowned for her crochet work, creating many beautiful rugs for Red Cross, St Vincent de Paul and other organisations. Approaching her 100th year last year, she made 11 rugs. She had also worked for the Association for the Blind, keeping up a family tradition. In her younger years Annie was the official scorer for the cricket club, and in 1932 the club presented her with a gold pen in appreciation. This was one of her most enjoyable social activities. In her later years she concentrated on caring for her father. [S35] Probate Records, PROV (Public Records Office Victoria), VPRS 28/P27, unit 340. [S2] Registry of Births Deaths and Marriages Federation Index Victoria 1889-1901 "#B8439 registered Beaconsfield." [S185] Property Titles. ; PROV (Public Records Office Victoria), C/T 1518-441 - Noel Gerard Roberts of St Georges Road Upper Beaconsfield Gentleman. [S18] Newspaper - Pakenham Gazette "c Aug 1997." [S15] Newspaper - Village Bell "118-1997 p24 by Charles Wilson." [S15] Newspaper - Village Bell "118-1997 p14 by M Womersley (Red Cross)." [S14] Newspaper - Weekly Times, 2 Jan 1909, p37. John Glismann enlisted in the Royal Australian Navy on 11 Oct 1916 when he was 15 years old. M1023. He discharged on 9 Feb 1942 as a Ldg Seaman on the HMAS Penguin. Marriage-Notice* 6 Feb 1940 GLISMANN-MURFETT. BEACONSFIELD UPPER. Monday. - The marriage of Sheila Kathleen Murfett, second daughter of Mr and Mrs Samuel Murfett of Launceston (T) to Leading Seaman John Glismann only son of the late Mr H Glismann and of Mrs H R Glismann of Beaconsfield Upper was quietly celebrated at St Johns Church of England Beaconsfield Upper by the Rev Panelli. 1 Jan 1910, CHERRY PICKING. "Laluma," Beaconsfield Upper.-Dear Uncle Ben, — I take for my subject "Cherry Pick-ing." My grandfather has a large orchard. The principal varieties of fruit grown in it are apples, pears and cherries. The latter are now ripe, and for the past month my grandfather and his employes have been busy picking and sending them away to market. The pickers are divided into two parties, one being called the upper and the other the lower set. The lower set goes first and picks all the fruit they can reach from the ground, while the upper set follows with their step-ladders and pick all the fruit on the higher branches. Some of them in grand father's orchard are very high. A man standing on a high step-ladder cannot reach the tops of some of the branches. Each picker carries a bucket, slung over his shoulders with a strap, into which he drops the fruit as he picks it. Whilst picking he has to take care that he puts no damaged ones in the bucket. When his bucket is full he empties it into a case. Each case is lined with white paper. When the case is full the nailer-up comes and sees that each case is properly filled, and then nails the lid on. Every, afternoon the carter comes with his waggon and pair of horses. The cases are loaded into the waggon and taken to the railway station and sent on to Melbourne, where the agent takes charge of them and sells them to the various shopkeepers. If prices are good in some of the other States he ships them away. Trust ing that I have not made this letter too long, and with with kind regards to Aunt Connie and Cousins Connie and Florrie, I am, your loving nephew, JOHN GLISMANN, aged 9 years. I would not recommend Jack Glissman of Upper Beaconsfield, to use luminous paint for floats for night fishing. I have a recipe for making it, not available at the moment, which will be sent in a few days. Posting at Discharge HMAS Penguin. [S2] Registry of Births Deaths and Marriages Federation Index Victoria 1889-1901 "#B24393 (registered Berwick)." [S185] Property Titles. ; PROV (Public Records Office Victoria), C/T 4181-043 - John Glismann of Upper Beaconsfield Farmer. [S185] Property Titles. ; PROV (Public Records Office Victoria), C/T 3796-197 - John Glismann of Beaconsfield Upper Carpenter. [S185] Property Titles. ; PROV (Public Records Office Victoria), C/T 2308-590 - John Glismann of Beaconsfield Upper, Carpenter - C/T 5960-997. [S185] Property Titles. ; PROV (Public Records Office Victoria), C/T 4181-043 - Ellen Francis Harris of Upper Beaconsfield Married Woman - C/T 6255-965. [S185] Property Titles. ; PROV (Public Records Office Victoria), C/T 4181-043 - Ellen Francis Harris of Upper Beaconsfield Married Woman - C/T 6495-967. [S185] Property Titles. ; PROV (Public Records Office Victoria), C/T 5960-997 - Sidney Bertram Wills Cooke - C/T 6648-404. [S185] Property Titles. ; PROV (Public Records Office Victoria), C/T 5960-997 - The President Councillors and Ratepayers of the Shire of Berwick - C/T 6735-976. [S185] Property Titles. ; PROV (Public Records Office Victoria), C/T 5960-997 - Frederick Douglas Beck of 1 Queen Street Melbourne Insurance Broker - C/T 7651-177. [S185] Property Titles. ; PROV (Public Records Office Victoria), C/T 3796-197 - Frederick Douglas Beck of 1 Queen Street Melbourne Insurance Broker. [S15] Newspaper - Village Bell "15-1980, p20." [S15] Newspaper - Village Bell "Issue 80, Jun 1991, p6 by Jeanette Ballinger." 4-002-A Glissman Hans M 73 27/12/1938 1009. [S14] Newspaper - Weekly Times, 1 Jan 1910, p37. [S11] Newspaper - Argus 25 Oct 1910 p9. [S11] Newspaper - Argus 29 Dec 1914 p 8. [S11] Newspaper - Argus 30 Jan 1940 p4. Death-Notice* 21 Jun 1932 MARSHALL. —On the 20th June, at her residence, Kurrajong Park, West Wyalong, Lottie Gertrude, the dearly beloved wife of Harvey, and only daughter of Charles and Elizabeth Petersen (late Upper Beaconsfield). 7 Nov 1908, A VERY PRETTY PLACE. Leintwardine, Beaconsfleld Upper. — Dear Aunt Connie,— This is the first time I have written to you, and I hope you will accept me as one of your many nieces. Beaconsfield is a very pretty place, situated about 28 miles from Melbourne. The place where we live is situated between two creeks. In front of us is Stony creek, and at the back is Cardina creek. The Cardina creek has a great many fish in it, and we will be glad when close season is over, as we all like fishing. Stony creek flows through my grandfather's property. My grandfather lives just a little way up the road from us. He has a lovely orchard. The cherry trees looked lovely when they were in bloom. The apples and pears had a number of blossoms, and there is every prospect of a good crop. In front of his place is a beautiful row of pine trees, and it is very pleasant to hear the wind in them. We live about two miles from the store, and I like going over with my father. We have been taking "The Weekly Times" for a number of years, and I take a great interest in the Young Folk's Page. With love to Cousins Connie and Florrie, not forgetting yourself, I remain, your would-be niece, LOTTIE G. PETERSEN, aged 12 years and 7 months. 30 Jan 1909, A LITTLE PRIZE-WINNER. Leintwardine, Beaconsfield North. — Dear Aunt Connie,— I am trying for this month's prize. The first thing I will tell you about will be our school picnic. It was held on November 13. It was a lovely day, and there were a good few people present. In the morning, most of the contests were held, and in the afternoon we held the races. I won five prizes, a bottle of scent, a butter-dish, a crumb brush and tray, a cup and saucer, and three yards of flowered muslin. A lady who was staying at our place gave me a nice book to make up the half-dozen prizes, it is called The Little Duke. I think I was very lucky. My little cousin got the silver medal, and he is very proud of it. In the skipping race one of my "Weekly Times" cousins fell down, and hurt her wrist, but she got third prize all the same, because there were only three that went in for it. I collect post cards, and have about 44, including 10 different views of Beaconsfield. Four of them are views of our school picnic. We went out fishing the other day, and only caught five worth keeping. One little girl and myself were fishing at one hole, but we had to leave it, because we saw a large black snake just near us. When we were tired we had a rest, and a bathe. There is a lovely bathing hole not far from our place, and sometimes I go for a bathe. It is about two chains long. My uncle was out fishing the day before us, and he caught ten nice ones. It is very dangerous to go out gathering ferns this time of the year, as there are so many snakes about here. I have seen a good many this year. There have been a lot of bush fires about here lately. It does seem a pity that all the pretty trees are blackened, and the grass all burnt. With love to Cousins Connie and Florrie, Uncle Ben, and not forgetting yourself, and wishing you all a bright and prosperous New Year. I remain, your loving niece, LOTTIE PETERSEN. Age, 12 years and 10 months. 1 May 1909, A LETTER OF THANKS. Leintwardine, Beaconsfield Upper.— Dear Aunt Connie,— I am writing this to thank you for the prize you so kindly awarded me. I am enclosing sixpence of it for the cot, and with the remaining two shillings I shall get a nice book to keep in memory of my first prize for letter writing. Well, dear Aunt Connie, I must now tell you how I spent, my Easter holidays. On Good Friday I went for a long walk along the Cardina Creek. It is a nice walk, as the creek bends and turns so much that in some places there is only a very narrow strip of land between two bends. The banks, which in some places are very steep, are covered with the most lovely ferns. I did not pick any, because I had a good distance to walk, and they would only be withered up before I got home. On Easter Monday I went for a picnic and a long walk along the Stony Creek. We had dinner and afternoon tea on the creek. It was quite nice to have "billy" tea made with creek water. Where the creek was full of rocks I had some fun bounding from one to another. While the billy was boiling for afternoon tea I had a paddle in the creek. The water was very cool and refreshing, after a long walk. While I was paddling I picked a nice bunch of ferns, which I took home to some little children staying at our place. After we left the creek, we went up a steep hill, and came to an old burnt down house. It was burnt down by last year's bush fires. After seeing this, we wended our way over hills and gullies to our home, after spending a most enjoyable day. With love to Cousins Connie and Florrie, Uncle Ben, and not forgetting yourself, i remain, your loving niece,— LOTTIE PETERSON. 20 Nov 1909, OUR LETTER BOX. VERY ENJOYABLE HOLIDAY. Leintwardine, Beaconsfield Upper.— My Dear Aunt Connie,— I have not written to you for a good time now, and as I have just returned from my trip to Kyneton. I thought, perhaps you would like to hear something about it. The morning we were to start hap pened to be fine. We were up about 5 o'clock to get ready to catch our train, and you may be sure we did not waste time, as we did not want to lose the train. However, we got to the station all right, and had some little time to wait. We arrived in town a little after ten, and, as our train did not start till 12.15, we had about two hours to ourselves. We had our lunch in the "Covent Gardens," did a little business, and then took the tram to Spencer street station. We had to wait a good while until the train started, and I was not sorry when it did as I was tired of wait ing. After a while I began to think the train was never going to get to Kyneton. At last it stopped, and, of course, I looked out to see what station it was, and I was surprised to see we had only got as far as Macedon. After we were through the station we began to see the mount coming into view. When we were right opposite the one side of it it did look steep. It made me feel as if I would like to get out and climb up it, as I am very fond of climbing hills. I have heard that anyone with a pair of glasses could see the Beaconsfield Store from the top of it. Once we were past the mount we began to feel nearer our destination, and very soon we were in Kyneton. When we got out of the train all the "cabbies" were after us to see if we wanted a cab. How ever, we were quite independent, as some of our friends were coming to meet us. In a little while we and our luggage were safely packed in the trap, and were driving up Mollison street, which is now the main street. After following different roads and passing some fine old stone houses we found our selves at our destination. That night we were too tired to go for a walk, and we were not sorry when it was bed-time. The next morning I went for a walk along the Campaspe River. I did see a difference between it and our creeks. In the afternoon three of us walked to the mineral springs. It was a warm day, and a drink of mineral water was very refreshing after our walk. When we all had a good drink we filled our two bottles to take home to the others. We had to be careful and not shake the bottles, for if we did they would burst. The next morn ing we drove into Kyneton. On one part of the road going in one can get a lovely view of the show grounds, and also of the Kyneton Hospital. We went in again in the evening to see what Kyneton streets were like when they were lit up. The Church of England is a fine old building, with ivy cling ing all the way up the front of it. The next afternoon (Sunday) I went to Sunday school with one of our friends, who is organist there. It is held in the River View State school, which is just a little way from where I was staying. The next day we drove to Drummond, which is 10 or 12 miles from River View. When going there we passed through a small township called Malmsbury, and also passed the gardens, which look very pretty at a distance. We passed the Malmsbury re servoir, which supplies Castlemaine and Bendigo, and we also passed several mines. After lunch my friend and myself set out and followed up a little creek till we found ourselves on a small promontory, with the creek on one side and a big swamp on the other. We found some very pretty blue wild violets among the trees. Going home we had a better view of the reservoir, also of the Malmsbury cemetery. The next day we drove into Kyneton to see the gardens, and next morning we left Kyneton by the 8.15 train, and arrived in Spencer Street a little after ten.- I was not sorry when we reached home, as I was tired of travelling. I think you will agree with me in saying I had a splendid holiday. With fond love to Connie, Florrie, Uncle Ben and yourself. I remain, your affectionate niece—LOTTIE G. PETERSEN. 16 Apr 1910, YOUNG FOLKS LETTER BOX. BEACONSFIELD FRUIT SHOW. Leintwardine, Beaconsfield Upper — My dear : Aunt Connie,—I thought I would write and tell you about the Beaconsfield Show; which was held in the Assembly Hall on Easter Sat urday, and which turned out a decided success in every way. The exhibits were very good, and there were quite a number of them. The 'Toomuc Valley" orchard had two very nice collections of apples, for which it got first and second prizes. My uncle got first prize for "Rome Beauty" apples. The fancy work was very nice. My little cousin got a special prize for sewing by a girl 11½ years of age, and it was very nicely done. There was a very good display of vegetables. The watermelon that got first prize, was a lovely one, and some of the pumpkins were very large. My father got first for household pumpkin, first for carrots, first for beetroot, first for beans, and second for tomatoes, also first for onions, so he did very well. He also got first for a collection of dried fruits. I entered a bunch of wild flowers, but did not get a prize. The Melbourne Cavalry and some of the moun-ted cadets were camped in Captain Rushall's-paddock. Some of them came to the show, and the band came and played selections during the evening. I went to the church parade on Sunday. It was very nice and a great number came to it. It has been lovely wea ther for the holidays, but I hope we will soon get some rain, as the crops must soon be sown and the flowers begin to look faded and dry again. There were a great many people staying up here. Nearly all the boarding-houses were full. There were also a good few Boy Scouts camped up here. With fond love to Cousins Connie and Florrie, Uncle Ben, and yourself, from your ever affectionate niece. LOTTIE G. PETERSEN. 6 May 1911, OUR LETTER BOX. THE BEACONSFIELD FRUITGROWERS' SHOW. Leintwardine, Beaconsfield Upper. — Dear Aunt Connie. — I will take for my subject the Beaconsfield Fruitgrowers' Annual Show, and The Tennis Tournament. The show was held on Easter Saturday, the day being nice and fine. The first features to claim your at tention, as you entered were the cases of lovely apples. On one side of the door were those packed for export, and on the other side those packed for the local market. One side of the hall was nothing but fruit and it looked lovely. The other side was occupied by the preserved fruit, dried fruit, pickles and sauces, jams, cookery and fancy work. The big back room was full of vegetables and some very good exhibits were shown. One of the small back rooms was full of flowers. They looked lovely especially the collections of cut flow ers. We took prizes for dried fruit, brace of cucumbers and onions, and second for vegetable marrow, household pumpkin, cu cumbers, parsnips, carrots, bottled fruit and pickles and sauces. So I think we did fairly well. In the afternoon there was an apple packing contest, points being given for packing, grading wrapping, and time. It was very interesting to watch them. During the evening there were several items, such as music, singing and recitations, which passed the evening off very pleasantly. On Easter Monday the Beaconsfield Upper Tennis Club held an open tournament. It was a glori ous day, and everything passed off well. The first prizes were a nice silver-backed mirror for the lady winner, and a silver candlestick for the gentleman; while the second prizes were a nice vase for the lady, and a silver matchbox for the gentleman. In the even ing the Beaconsfield dramatic club held a concert. There were two plays by the dra matic club, and several items by different visitors. I went to all the Easter functions and enjoyed myself very much. I will now close with love to Connie and Florrie, Uncle Ben and yourself. Again thanking you for the prize. Your affectionate niece, LOTTIE G. PETERSEN. 29 Jul 1911, ENTERTAINMENTS AT BEACONSFIELD UPPER. Lottie G. Petersen, of "Leintwardine," Beaconsfield Upper, writes: — This time I will take for my subject several entertainments held here during the last few months. The first of these was the "State school picnic," which was held on "Empire Day." It was to have been held in the recreation ground, but the day was so wet they had to have it in the hall. The children went down to the school at the usual time and saluted the flag. Then two gentlemen addressed them. They then marched up to the hall, where dinner was awaiting them. After dinner they played in the hall, while the adults had their dinner. 20 Jun 1934, MARSHALL (nee Petersen) - In loving memory of our darling daughter Lottie G Marshall who passed away at West Wyalong (NSW) June 20 1932. [S1] Registry of Births Deaths and Marriages Pioneer Index Victoria 1836-1888 "#B1062 registered Berwick." [S11] Newspaper - Argus 23 Apr 1927, p15. [S11] Newspaper - Argus 21 Jun 1932, p1. [S132] Electoral Roll for Australia, 1932. [S14] Newspaper - Weekly Times, 7 Nov 1908, p37. [S14] Newspaper - Weekly Times, 30 Jan 1909, p37. [S14] Newspaper - Weekly Times, 1 May 1909, p37. [S14] Newspaper - Weekly Times, 17 Jul 1909, p37. [S14] Newspaper - Weekly Times, 20 Nov 1909, p37. [S14] Newspaper - Weekly Times, 5 Feb 1910, p37. [S14] Newspaper - Weekly Times, 16 Apr 1910, p37. [S14] Newspaper - Weekly Times, 18 Jun 1910, p36. [S14] Newspaper - Weekly Times, 21 Jan 1911, p39. [S14] Newspaper - Weekly Times, 6 May 1911, p38. [S14] Newspaper - Weekly Times, 29 Jul 1911, p39. [S14] Newspaper - Weekly Times, 23 Dec 1911, p40. [S11] Newspaper - Argus 20 Jun 1934, p1. Marriage* 23 Apr 1924 Spouse: Claud Alfred Harris. Upper Beaconsfield Church, Upper Beaconsfield, VIC, Australia, first marriage at the new church. 9 Dec 1916, MISS DOROTHEA STENHOUSE, "Scotscraig," Beaconsfield Upper. 24 Apr 1964, RUBY WEDDING. HARRIS — GLISMANN. —At St. John's Church of England, Beaconsfield Upper, on 23rd April, 1924, celebrated by Rev. A. J. Cole, Claud Alfred, only son of Mr. and Mrs. S. Harris, Beaconsfield Upper, to Ellen Frances, second daughter of Mr. and Mrs. H. Glismann, Beaconsfield Upper. 1 May 1964, Ruby Wedding at Upper Beacy. Mr. and Mrs. Claud Harris, of Upper Bcaconsfield, were taken completely by surprise last Saturday night, when their two sons and two daughters, with their respective wives or husbands and families arrived unannounced to offer congratulations and good wishes on the occasion of their ruby wedding anniversary. Also present were Mr. John Glismann (best man at their wedding), Miss A. G. Glismann and Mrs. J. Porter, formerly Miss Jean Tivendale (bridesmaids); with Mrs. J. Glismann and Mr. J. Porter. The Shire President Cr. A. G. Robinson) and Mrs. Robinson and the Shire Secretary (Miss B. Thomas) were the only guests outside the family and bridal party. It was an informal, happy gathering. During supper Mr. John Glismann proposed a toast to the "Bride and Bridegroom" and the "bride" cut the cake, which had been made by Mrs. C. C. Harris. Both Mr. and Mrs. Harris have spent the greater part of their lives, in the district and are held in high esteem throughout the length and breadth of it. For years Mr. Harris was one of the Beaconsfield Riding councillors. [S35] Probate Records, PROV (Public Records Office Victoria), VPRS 28/P7, unit 306; VPRS 7591/P4, unit 482. [S3] Registry of Births Deaths and Marriages Edwardian Index Victoria 1902-1913 "#B8010." [S185] Property Titles. ; PROV (Public Records Office Victoria), C/T 5426-145 - Ellen Frances Harris of Upper Beaconsfield Married Woman - all of GEM-D-44B and part of GEM-D-44. [S185] Property Titles. ; PROV (Public Records Office Victoria), C/T 6905-986 - Ellen Frances Harris of Upper Beaconsfield Married Woman. [S185] Property Titles. ; PROV (Public Records Office Victoria), C/T 5426-145 - C/T 8126-841 - Francis Roy Harris of Upper Beaconsfield Driver. [S185] Property Titles. ; PROV (Public Records Office Victoria), C/T 6905-986 - John Rintoull Willis Gentleman and Nellie Mary Willis Married Woman both of Upper Beaconsfield - joint proprietors. [S185] Property Titles. ; PROV (Public Records Office Victoria), C/T 5426-145 - C/T 8334-666 - Francis Roy Harris of Salisbury Road Upper Beaconsfield Cartage Contractor. [S35] Probate Records, PROV (Public Records Office Victoria), address on Claud Harris probate. [S185] Property Titles. 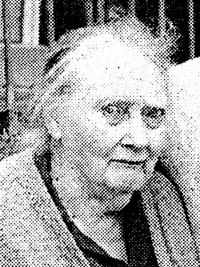 ; PROV (Public Records Office Victoria), C/T 5458-544 - C/T 8790-447 - Ellen Frances Harris of "Naygoondy" Salisbury Road Upper Beaconsfield Widow. [S185] Property Titles. ; PROV (Public Records Office Victoria), C/T 8790-447 - Francis Roy Harris Petrol Company Agent and Joan Ella Harris Married Woman both of Salisbury Road Upper Beaconsfield - joint proprietors. [S185] Property Titles. ; PROV (Public Records Office Victoria), C/T 6255-965 - Francis Roy Harris Petrol Company Agent and Joan Ella Harris Married Woman both of Salisbury Road Upper Beaconsfield - joint proprietors. [S185] Property Titles. ; PROV (Public Records Office Victoria), C/T 5426-145 - Ellen Frances Harris died on the 28 September 1974. Probate of her will has been granted to Cuthbert Claud Harris of 22 Palmiston Street Berwick Manager and Francis Roy Harris of Salisbury Road Beaconsfield Upper Company Agent. [S185] Property Titles. ; PROV (Public Records Office Victoria), C/T 5426-145 - C/T 9108-166 -. [S11] Newspaper - Argus 9 Dec 1916, p23. [S18] Newspaper - Pakenham Gazette "24 Apr 1964." [S18] Newspaper - Pakenham Gazette "1 May 1964." Claud Alfred Harris was a 25 year old mechanic when he enlisted on 2 Feb 1916. He embarked from Melbourne on board HMAT 54 Runic on 20 Jun 1916 with the 10th Field Ambulance. There were 3 more lads from Upper Beaconsfield on the same ship, Edward Dineley, Stanley Donovan and Lionel Smith. SERN 12451. The nominal roll lists him as a Driver in the 4th Motor Transport Company. Marriage* 23 Apr 1924 Spouse: Ellen Frances Glismann. Upper Beaconsfield Church, Upper Beaconsfield, VIC, Australia, first marriage at the new church. 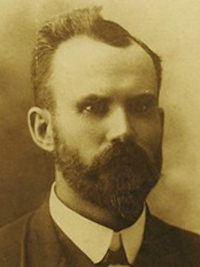 ALTHOUGH Mr. A. E. C. Russell, of Gembrook, established a big lead on the first count, polling a particularly good vote in his own district, the distribution of Mr. Claud Harris’s second preferences gave Mr. John Richardson, of Upper Beaconsfield, a majority of 38 in the extraordinary election for the Beaconsfield Riding of the Berwick Council last Saturday. THE NEW COUNCILLOR, who is a son of the late Judge Richardson, and a noted breeder of Red Poll s at his “Faldinghurst” Stud, Upper Beaconsfield, will have youth on-his side and when he takes his seat next month, will be the youngest member of the council. THE KEEN interest taken in the election is shown by the fact that close on 800 votes were cast. 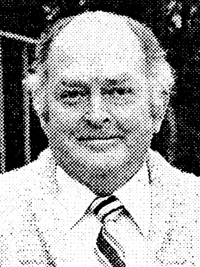 There was little between the two Upper Beaconsfield rivals, the successful candidate having only 21 votes more than Mr. Claud Harris, who was the first to drop out. Harris’s Prefs. .. . . 182 33 ..
[S35] Probate Records, PROV (Public Records Office Victoria), VPRS 28/P5, unit 399; VPRS 7591/P4, unit 55. [S1] Registry of Births Deaths and Marriages Pioneer Index Victoria 1836-1888 "#B30642." [S185] Property Titles. ; PROV (Public Records Office Victoria), C/T 3762-278 - Louisa Jane Bevan to Claud Alfred Harris of Upper Beaconsfield Contractor - C/T 5027-226. [S185] Property Titles. ; PROV (Public Records Office Victoria), C/T 5426-145 - Claud Alfred Harris of Upper Beaconsfield Cartage Contractor - all of GEM-D-44B and part of GEM-D-44. [S185] Property Titles. ; PROV (Public Records Office Victoria), C/T 5027-226 - Frank Leslie Knapton of Upper Beaconsfield Florist - C/T 6587-347. [S185] Property Titles. ; PROV (Public Records Office Victoria), C/T 6631-028 - Claude Alfred Harris of Upper Beaconsfield Contractor. [S185] Property Titles. ; PROV (Public Records Office Victoria), C/T 4068-547 - Alison Patricia Billing of 15 Berkeley Street Hawthorn Married Woman. [S185] Property Titles. ; PROV (Public Records Office Victoria), C/T 5583-591 - Alison Patricia Billing of 15 Berkeley Street Hawthorn Married Woman. [S185] Property Titles. ; PROV (Public Records Office Victoria), C/T 6631-028 - Francis Roy of Upper Beaconsfield Farmer. [S185] Property Titles. ; PROV (Public Records Office Victoria), C/T 5458-544 - Colin Arthur Marshall of Upper Beaconsfield Bus Proprietor - C/T 8098-608. [S185] Property Titles. ; PROV (Public Records Office Victoria), C/T 4527-337 - Melbourne and Metropolitan Board of Works - C/T 8734-762. [S185] Property Titles. ; PROV (Public Records Office Victoria), C/T 5458-544 - Claud Alfred Harris died on 28th February 1969. Probate of his will has been granted to Ellen Frances Harris of "Naygoondy" Salisbury Road Upper Beaconsfield Widow. [S218] Newspaper - The Dandenong Journal (1927-1954) "13 Sep 1944, p4." [S218] Newspaper - The Dandenong Journal (1927-1954) "20 Sep 1944, p1." Marriage* 23 Nov 1949 Spouse: Lucy Elizabeth Pidgeon. Death-Notice* 3 Oct 2012 HARRIS. - Cuthbert Claud (Kaine) 24.11.1929 - 29.9.2012 Passed away at home peacefully after a short struggle with Leukemia. Loved husband of Betty (dec.) Adored father, father-in-law and Poppy to - Christine, Greg and Lucy. Rosalie, Rodney, Garth and Louise. Julie, John and George (dec.) Penny, John, Sol, Sam and Harland. Warwick (dec.), Nick, Jess, Reanna and Trinity. Great Poppy to Evie, Joshua, Oliver, Xavier and Alexis. Aussie Dad to Celia and John, Dear friend to Barry, Pauline and family. Now reunited with his Bett. [S11] Newspaper - Argus 30 Nov 1929 p13. [S18] Newspaper - Pakenham Gazette "16 Sep 1949, p8." [S185] Property Titles. ; PROV (Public Records Office Victoria), C/T 9108-166 - Francis Roy Harris Company Agent and Joan Ella Harris Married Woman both of Salisbury Road Beaconsfield Upper - joint proprietors. [S13] Newspaper - Herald Sun "3 Oct 2012, viewed online." 7-431 Harris Lucy Elizabeth F 72 14/02/2003 3191. Marriage* 20 Oct 1956 Spouse: Joan Ella Board. Upper Beaconsfield, VIC, Australia. Village Bell* Jun 1991 The article reads: Tribute to Roy Harris. On Monday 29th April a very large number of people attended the funeral service of Roy Harris at St. John’s Upper Beaconsfield. Everyone who knew Roy or had been involved in community matters for a very long time. He lived all his life in Salisbury Road. Roy came from the family of the Glismanns, who, over one hundred years ago walked across country from Clayton. They selected land near where Foott Road is at present and set up permanent residence. Glismann names appear on the first rolls of the first primary school which was built near the Beaconshills Golf Club main entrance. Roy’s grandmother was the first resident school teacher at Upper Beac. Earlier, the teacher rode in from Berwick on horseback. Residents of Upper Beac. in 1984 will remember the Centenary of Education, the original school and public hall being 100 years old. Roy was president of the committee which organized that celebration. The Harris family threw themselves into community work after the 1983 fires. Roy played an active part in the rebuilding of St. John’s and driving the community bus. At various times Roy served on the Primary School committee, the Pakenham High School Advisory Council, Pakenham Citizen of the Year Committee. He supported the Upper Beaconsfield Association when it was young and turned out with the Fire Brigade. I have probably missed quite a few activities. Roy was recently a recipient of the Shire of Pakenham Citizen of the Year Award. The strength of Upper Beaconsfield is due in no small measure to the number of community minded people who give of their time and expertise. Roy was one of these. Joan and family extend their grateful thanks to all who have offered support and love through the last months and in particular, those who have given practical support since Roy’s death. [S35] Probate Records, PROV (Public Records Office Victoria), VPRS 28/P21, unit 185; VPRS 7591/P17, unit 37. [S11] Newspaper - Argus 10 Oct 1931 p15. [S185] Property Titles. ; PROV (Public Records Office Victoria), C/T 6631-028 - Joseph James Campbell, Fitter and Teresa Celia Campbell, Married Woman both of 8 Portland Street West Coburg - joint proprietors. [S360] Upper Beaconsfield Fire Brigade ,"Volunteer Register List 23 Nov 1982 - Occupation Oil Agent." [S15] Newspaper - Village Bell "Issue 79, Apr 1991, p7." [S15] Newspaper - Village Bell "Issue 80, Jun 1991, p6 by Phillip Rocke." [S185] Property Titles. ; PROV (Public Records Office Victoria), C/T 8126-841 - Frances Roy Harris died on 23/4/91. Probate of his will has been granted to Joan Ella Harris. [S352] St John's Church, St John's Memorial Book, Francis Roy Harris born 4 Oct 1931 died 23 Apr 1991. 4-010-A Glismann Sheila Kathleen F 86 27/09/1994 2429. Land-Note* 31 Aug 1886 GEM-E-11 / GEM-D-74: Fasifern, Beconsfield, August 31 86. Dear Sir I take the liberty of writing to you with reference to a Block of Land of J Harris in too parts north of Ellenworths on the Narrie Warren Road about 16 Acres it has been selected over (3) years and no improvements of any kind what ever put upon it. it is likely to be Fortifed. also with referance to a Block of 20 Acres Selected by Dale over 3 years north of Gissings. Sugar Laaff has no improvements of any kind what ever is it likely to be forfitited? or could you give me any information of Land forfitited or given for selection in or near Beaconsfield or what can be taken to obtain a block. Note* 30 Apr 1896 Caleb Wheeler, sworn and examined. about ten years, and have 5 acres. I have been residing on my own place only about six years. It is freehold, bought from the Crown. I have about 4 acres under fruit, nearly all apples ; the trees are from three to seven-years old ; they are bearing well. I have averaged about a case to the tree this year. I sent some of my fruit to Melbourne for the first time this year. I disposed of it before in Dandenong, and locally, but the prices were so low, it paid me better to give them to the pigs until this year; the price is more satisfactory now. I could send 200 cases a year at present prices. The railway charge is 1s. for eight cases. I do not care whether there is a railway or not; if it came through it would bring me within a couple of miles of the railway station, but it would benefit the people further back. 391. To the Hon. D. Melville.—I make a living on 5 acres by fruit-growing. I do nothing else. I have no family to keep. I was brought up as a gardener. I was brought up to hard work. My father was a labourer, and without any previous training I picked up the apple-growing. I think there is a good prospect before me at my business. [The witness exhibited samples of apples.] I think this district is the best in the colony for growing that class of apples. Those apples would fetch 6s. in Melbourne ; the lowest I have heard of them bringing is 3s. a case ; plums and cherries do equally well here, and strawberries do well, but it is not suitable for currants. The land of the people away at the back is equally good. I could buy unimproved blocks adjoining mine at £5 an acre. There is room for another thousand families here without crowding us, as long as they are not Chinamen. I think a narrow-gauge railway would pay. This place is also a health resort. 392. To Mr. J. S. White.—I am married but have no children. I do not owe any one anything at present, thank God. I have grown pigs also, and I keep a cow or two running outside. 9 Apr 1914, A DRIVING ACCIDENT. [S83] Online index to the UK census "1881 census." [S14] Newspaper - Wiltshire Times and Trowbridge Advertiser (England), 31 Jan 1880, p8. [S36] Inward & outward passenger lists to and from Victoria. Series: VPRS 14; 7666; 7667; 7786); PROV (Public Records Office Victoria), B427 005 / 426/002 - boat may have landed at Sydney first. [S185] Property Titles. ; PROV (Public Records Office Victoria), C/T 1475-905 - Caleb Wheeler of Beaconsfield Labourer - C/T 1840-978. [S25] School Records - Beaconsfield North 2560: parent/guardian Mr Wheeler, gardener, previous schooling St Kilda 1479. 1896 Victoria. Report from the Parliamentary Standing Committee on railways on the question of selecting localities for the permanent survey of narow-gauge lines together with the appendices and minutes of evidence. Printed 18 August 1896, p96. [S185] Property Titles. ; PROV (Public Records Office Victoria), C/T 1475-905 - Matilda Wheeler of Beaconsfield Married Woman - C/T 1840-978. [S185] Property Titles. ; PROV (Public Records Office Victoria), C/T 2032-322 - Caleb Wheeler of Hillside Upper Beaconsfield Orchardist - C/T 3880-980. [S185] Property Titles. ; PROV (Public Records Office Victoria), C/T 2080-806 - The Commercial Bank to Caleb Wheeler of Upper Beaconsfield Farmer - C/T 3902-306. [S11] Newspaper - Argus 22 Dec 1922 p1. [S185] Property Titles. ; PROV (Public Records Office Victoria), C/T 3902-306. [S185] Property Titles. ; PROV (Public Records Office Victoria), C/T 3880-980. [S185] Property Titles. ; PROV (Public Records Office Victoria), C/T 3902-306 - Estate of Caleb Wheeler to Esther Jane Seymour Collins of "Hillside" Upper Beaconsfield Spinster - later known as Esther Jane Seymour Stanley. [S185] Property Titles. ; PROV (Public Records Office Victoria), C/T 3880-980 - Matilda Wheeler of "Hillside" Upper Beaconsfield Widow. [S83] Online index to the UK census "Class: RG 9; Piece: 1287; Folio: 17; Page: 15; GSU roll: 542789." [S83] Online index to the UK census "Class: RG10; Piece: 1903; Folio: 6; Page: 6; GSU roll: 830866." [S83] Online index to the UK census "1881 census: Class: RG11; Piece: 2504; Folio: 42; Page: 22; GSU roll: 1341604." 2-174-A Wheeler M. F 88 17/12/1937 981. [S188] Newspaper - Berwick County Times / The Times "22 Dec 1922, p1." [S11] Newspaper - Argus 12 Jan 1923, p1. [S35] Probate Records, PROV (Public Records Office Victoria), VPRS 28/P5, unit 494; VPRS 7591/P4, unit 72. [S185] Property Titles. ; PROV (Public Records Office Victoria), C/T 3902-306 - Esther Jane Seymour Stanley to Arthur Blackwood Davy of Upper Beaconsfield Mail Contractor. Inquest 18 Aug 1908 Inquest held 1908/894. Self inflicted injuries to throat. Depositions: Report of Constable James Hehir 4169 relative to sudden death of Catherine Whight at Upper Beaconsfield on 17th August 1908. I beg to report for Dr Cole's information that I was informed this morning that Catherine Whight a woman about 45 years of age that was an inmate of the convalescent nursing establishment carried on by Miss MacCallum at Upper Beaconsfield got away from her attendant (after a struggle) into the bush and when found was in a dying condition with her throat cut. I proceeded to the place and made inquiries. I found the woman had been sent to Miss MacCallums by Dr Beattie Smith from Melbourne a fortnight ago. She was melancholic and inclined to be suicidal. She appears to have been well looked after and was never left alone, but by some means she appears to have got hold of a table knife and kept it concealed. Yesterday afternoon when out walking with her attendant an assistant nurse named Olley she attempted to cut her own throat. The nurse struggled with her and tried to take the knife from her but was unable to do so and Whight got away in the scrub with the knife when found she had her throat badly cut and was in a dying condition. I carefully examined the place where the struggle took place and found some of deceased's clothing there I traced footsteps that of one woman down a soft track into a gully there I found deceased's handbag and waist belt with blood on them. There were indications as if some person had been sitting down and blood on the ground. I traced her from there down the gully through the scrub and found her false teeth from there. I traced the trail to where she was found it was about a quarter of a mile from where the struggle with the attendant took place. I was unable to find any knife but the place from where she got away to where she was found is covered on the side of the little tracks with ferns and undergrowth and deceased may have thrown the knife from her into the scrub. My inquiries and search bear out the facts as stated by Miss Olley deceased's attendant. I am of opinion that deceased intended to kill herself and had the knife concealed in her clothing when she left the house. Deceased's attendant appears to have done all in her power to prevent the woman cutting her throat but she was not strong enough to hold her. There appears to be no suspicious circumstances. I am of opinion that deceased's mind became unhinged and she committed suicide. This deponent Catherine MacCallum trained nurse residing at Kanoona Upper Beaconsfield. This house is entirely under my charge. It is not registered. It is a medical rest home. I received the deceased on the evening of 3rd August inst together with her sister. Her sister is not here now. When she arrived she seemed depressed but soon after brightened up and said she thought she would be allright. Her moods alternated between brightness and depression. She was always rational No outbursts. Nothing happened. She was until Friday in charge of myself and her sister. She was never alone. The sister slept with her. The sister left on Friday. Miss Olley came on Thursday evening. She took charge of deceased on the following morning at 9 o'clock. The sister remained all that day until the evening. After that Miss Olley had sole charge under my direction. I last saw deceased alive after she had injured herself. She left the house with Miss Olley for their usual walk. She was then in my opinion perfectly rational. At 5.45pm Mrs Larkin the laundress came into my kitchen and told me something. I followed her direction to the house of Mrs Adams 1/4 mile away. I hear men's voices in the gully. I heard my dog I followed and found deceased sitting far down in the gully beside a small waterhole. She was then alive but as I reached she pitched forward. Mrs Larkin helped me lift her and brought her here. She died on the way to the house. Her throat was cut. I have heard since that it was done with a knife. I do not know how she got the knife. Miss Olley was at Mrs Adams' house having been injured by deceased her knee injured her arm strained and other injuries due to a struggle with deceased. The deceased was never alone. She had meals with us. There were knives at the table. I couldn't say whether she injured herself with a table knife. The knife was never found near her body. This deponent Muriel Olley. I am an attendant residing at Spring Street Melbourne. I have had two years hospital training and in addition have had private house experiences. I have attended melancholic patients before under medical supervision. I took charge of deceased in consequence of an advertisement from Mrs Fisher's office. I was engaged by the sister of deceased. I took charge of her on Friday morning last. I took instructions from Miss MacCallum. I was constantly with her. In the afternoon of yesterday we went for our usual walk taking the path through the bush. Just on the rise of the hill near a gully I stopped to fasten my shoe. The patient threw down her muff and umbrella and ran down the hill. Cutting at her throat with a table knife a small dinner knife. I chased her caught her by the arm we had a struggle I got the knife several times. She forced me down the hill. She got it back again once I threw it away she got it again. We were then almost at the edge of the bracken. She got away from me I was too exhausted to chase her any further the struggle lasted 3/4 hours. I went for help to Mrs Adams' house who sent some men down. I did not see deceased again. I do not know how deceased got the knife. It had a short blade. It was not one of the ordinary dinner knives used here. I was attacked by deceased with a hat pin and ran it into my leg. She did so in order to get the knife which I had stuck in the ground and knell upon. She scratched my hand with her brooch in order to force me to let go the knife. All her efforts were for the knife. She tore at her throat with the hat pin. This deponent James Whight, warehouse man residing at 9 Purves? Terrace St Kilda Road South Melbourne. [S1] Registry of Births Deaths and Marriages Pioneer Index Victoria 1836-1888 "#B82 [par Dammant WHIGHT & Catherine CAVENER]." [S34] PROV (Public Records Office Victoria), Inquest into death of Catherine Whight 1908. Female, Whight, Catherine, Self inflicted injuries to throat, Upper Beaconsfield, 1908/894, 18 Aug 1908,. [S11] Newspaper - Argus 20 Aug 1908, p1. [S35] Probate Records, PROV (Public Records Office Victoria), 107/991. Death-Notice* 30 Aug 1924 PAGET.—On the 28th August, at Gnaroo, Beaconsfield, Harriet Emily, beloved wife of Joseph H Paget, and loving mother of Alfred, Alice, Olive, Leslie, Irene, Ida, and Walter, aged 63 years. [S50] Miscellaneous Source, james paget, gold coast (via mundia/ancestry). [S80] Ancestry - Family Tree, NEALE Family Tree Owner: gillw49. [S11] Newspaper - Argus 30 Aug 1924 p30. [S35] Probate Records, PROV (Public Records Office Victoria), 197/053. 4-245-A Paget J.H. F 25/02/1939 1014. Death-Notice* 21 Feb 1939 PAGET - On the 20th February at Royal Melbourne Hospital, Joseph Henry Paget, beloved father of Alfred, Alice, Olive, Leslie (deceased), Clarice (deceased), Irene, Ida and Walter, aged 77 years. [S5] Registry of Births Deaths and Marriages Death Index Victoria 1921-1985 "#D1433 age 77 [par James PAGET & Mary MATTHEW]." [S11] Newspaper - Argus 21 Feb 1939 p8. [S185] Property Titles. ; PROV (Public Records Office Victoria), C/T 4008-457 - Joseph Henry Paget died on 20th February 1939. Probate of his will has been granted to Olive Emily Sykes of Roda Park Sandown Road Springvale Married Woman. [S185] Property Titles. ; PROV (Public Records Office Victoria), C/T 4008-457 - Olive Emily Sykes of Roda Park Sandown Road Springvale Married Woman. [S14] Newspaper - New Zealand - Papers Past: Evening Post, Volume XXI, Issue 50, 2 March 1881, Page 2. [S14] Newspaper - New Zealand - Papers Past: Otago Daily Times , Issue 5957, 15 March 1881, Page 3. [S14] Newspaper - New Zealand - Papers Past: Poverty Bay Herald, Volume VIII, Issue 1295, 12 April 1881, Page 2. Leslie James Paget enlisted on 16 Jul 1915 as a Private with the 24th Battalion, 5th Reinforcement. SERN 2433. He lived at East Prahran with his parents at the time of enlistment, and was a carpenter. His unit embarked from Melbourne on 29 Sep 1915 on board HMAT RMS Osterley. He was killed in action at Pozieres on 24 Aug 1916. [S2] Registry of Births Deaths and Marriages Federation Index Victoria 1889-1901 "#B14130." [S11] Newspaper - Argus 30 Sep 1916 p13.